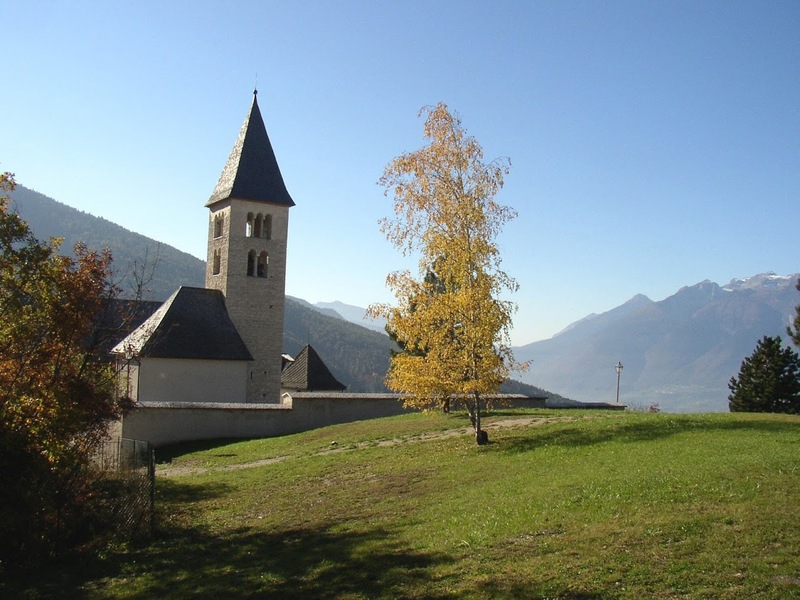 A religious complex of remarkable historical and landscape interest, situated on a panoramic rocky spur of the Pongaiola stream, between the side slopes of Buson to the west and Franzin to the east. This is a point of view with a large panoramic view that for the spectacular scenery is not common to see in Trentino, considering also the remarkable archaeological and historical-artistic aspects that characterized this place. The religious complex consists of the San Martino Church, a Bell Tower and the Chapel of Santi Fabiano e Sebastiano, buildings that were manufactured at different times on the area of a prehistoric castle and the Roman “castrum Vervassium”. The area became a gateway to an ancient road to the Val dell’Adige, through the Favogna pass. Many Roman areas and tombs have been found nearby and they document the strategic importance of the site for the Roman colonization of the Annaunia. Having been documented in the 14th century, the church of San Martino was re-built in the thirties of the 16th century, while the bell tower with a large fresco depicting St. Christopher and the adjacent chapel date back to the 15th century.